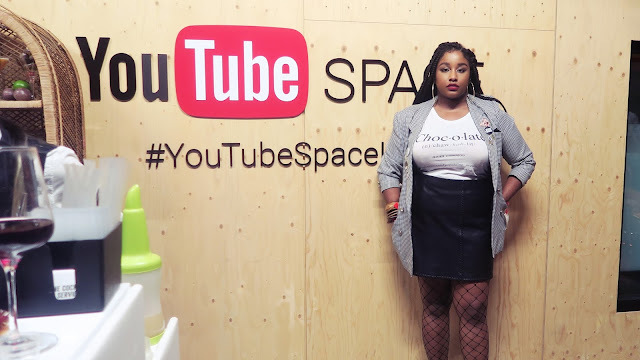 This past Friday I attended #YoutubeBlack. 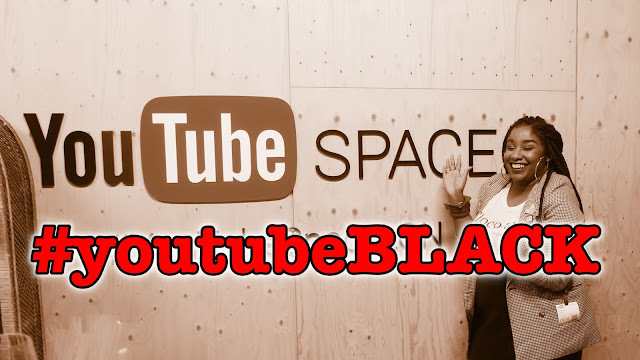 If you have no clue what I am speaking about.... Youtube created #Youtubeblack in 2016 after noticing (or maybe after us bringing it to their attention) that black Youtubers were not being seen as much as other Youtubers. It is hard on these youtube internet streets to make it to the trending page and acquire more subscribers. So the HR of Youtube decided to start creating events that highlight and give recognition to its top black Youtubers. I remember watching all the vlogs last year when they did their first event. They flew out 100 youtubers to LA and threw a huge party and conference. It looked so epic!! Well this year's festivities included a youtube fan fest in Washington D.C. at Howard University and a celebration event in London at the YOutube Space in Kings Cross, which I attended. As a black Youtuber...wait as a black.. British..Caribbean.. female...plus size Youtuber..because all those factors count.. it can be quite hard to build a following and platform. I started on Youtube in 2011 under UKnaturals. The platform was launched to showcase natural hair in the UK because all of the platforms were US based. Fast-forward to 2017, I had to start a new channel due to my previous Youtube management messing up my channel..I will explain on of these days..just don't sign up to a network, it isn't worth it. It has been extremely difficult to build my youtube channel, as I don't post popular content that people are so used to. Youtube has changed so much over the years, it has become the land of click-bait and pranks. There are days when I feel like just shutting down my channel, but then I think of all the amazing people who support me and why I even do it! Because I have a purpose to fulfil! So back to Friday evening!!! The lit-uation of Youtubeblack. I arrived around 7pm to join a long queue of black Youtubers. The line was so long! I was very surprised, but they were only letting 5 people in a time. Once inside,I had a look around. I have been to the Youtube Space previously and every was situated on the ground floor. There were two drink stations, which we were given drinks tokens for. They also have food available, a range of Caribbean food and a crepe station. There was also a candy and snacks station. Towards the back of the room was a specially built barbershop, where they had head-wraps, nail, hair and makeup stations. It was very cool, but very US barbershop inspired. All in all it was a cool idea. 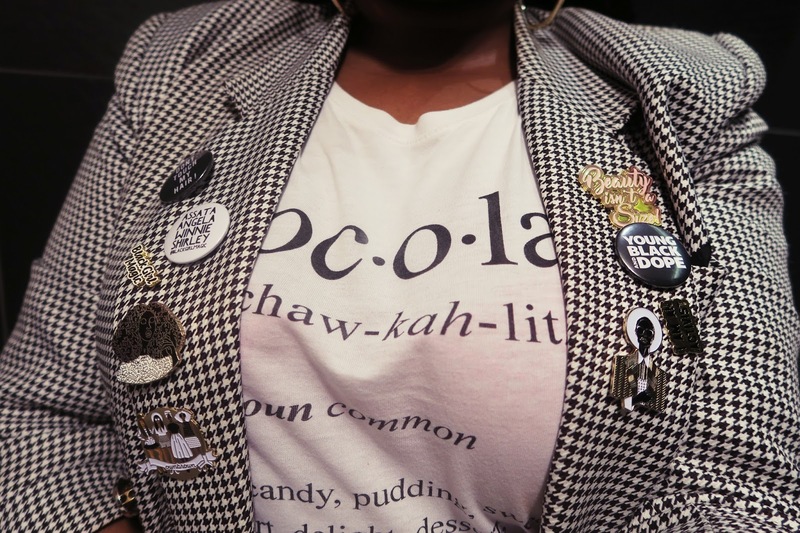 The evening was filled with performances from Che-Lingo, Shae, Mina West, Daina and a black girl magic panel organised by Word on the Curb. The downside to the event was the way it was laid out. We were constantly told to be quiet whilst people were performing, which became annoying because people wanted to network and connect. It is very very rare to have all these amazing black Youtubers under one roof at the same time. So they should have had the performances separately to everything else. It got to the point where they stopped serving drinks during performances because of noise...so unnecessary! After all the performances. The turn up began!! LISTEN.... I LOVE BEING BLACK!! We know how to get down no matter where we are!! The party was so LIT. DJ Mercedes F Benson was on the decks dropping the tunes that had everyone dancing and vibing. What I absolutely loved was the energy of the room. It just showed that no matter what obstacle, problem or issue we have as a community, we know how to come togehter, support and have fun!! I look forward to next year's #YoutubeBlack and hopefully it will be bigger and better!! !